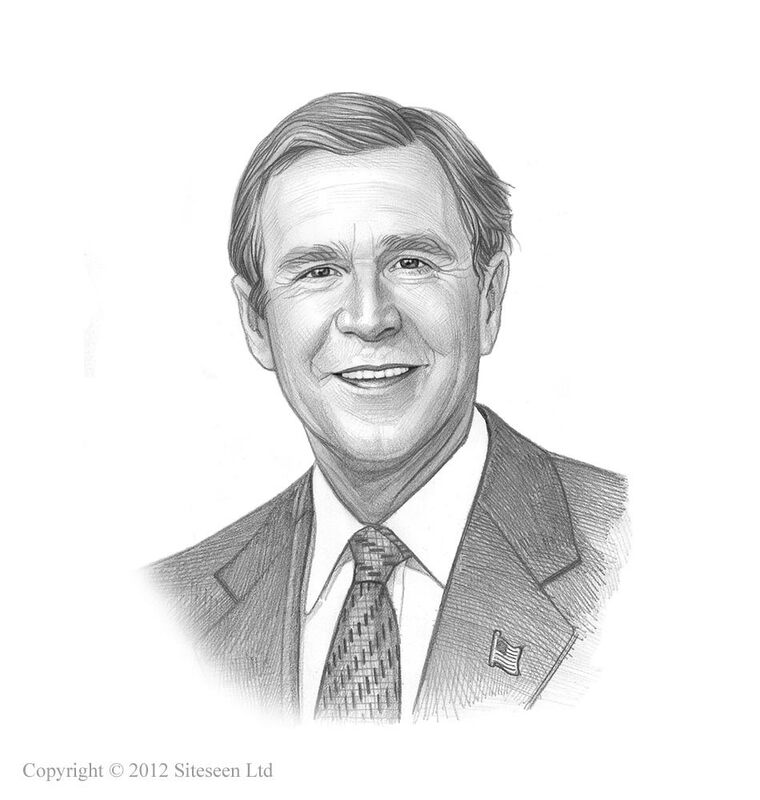 Anthrax attacks: George W Bush was the 43rd American President who served in office from January 20, 2001 to January 20, 2009. One of the important events during his presidency was the 2001 Anthrax Attacks. Summary and definition: As the United States tried to cope with the 9/11 Terror Attacks on Tuesday September 11, 2001, a new terrorist attack began in the homeland. This time it was bioterrorism. The 2001 Anthrax scare began just seven days after the 9/11 attacks when anonymous letters, laced with lethal anthrax spores, began arriving at news media companies and the offices of two Democratic U.S. Senators. The anonymous letters contained Bacillus anthracis, commonly referred to as anthrax, and were sent between September and November 2001. Five people died from inhaling anthrax and 17 others were infected after exposure. Bruce Edwards Ivins, an American microbiologist and biodefense researcher was believed solely responsible for the attacks but died before formal charges were made against him. The following fact sheet contains interesting facts and information on Anthrax attacks. What is Anthrax? Anthrax is a serious disease caused by the bacterium Bacillus anthracis. Anthrax disease primarily affects livestock but the bacteria that cause anthrax has been used as a type of biological warfare. Using a highly complex process, bacteria can be grown in laboratories and altered to made into a biological weapon, making it possible for people to become infected by inhaling the anthrax spores. Antibiotics can be used to treat the disease but, if left untreated, it can be fatal. Countries such as the United States, Russia and Iraq have all used anthrax bacteria to create biological weapons. In the 2001 Anthrax attacks, the terrorist(s) obtained microscopic Anthrax spores, that had been converted into a powder, and sent spore-laden letters by mail through the U.S. Postal Service. The Anthrax attacks in the United States began in September 2001, just days after the United States had been devastated by the 9/11 terrorist attacks. The majority of Americans believed that they were a second-wave assault by Al-Qaeda following the September 11 terrorist attacks. When the lethal letters were opened, people contracted a form of the disease called 'Inhalational anthrax' caused by inhaling thousands of airborne anthrax spores or touching the powder. In the 2001 Anthrax attacks 5 people died and 17 others contracted 'Inhalational anthrax' after exposure to the deadly powder or 'Cutaneous Anthrax' through the skin.. The disease was not contagious and could not be transmitted from person to person. Of the 22 people who contracted the disease, there were 11 cases of Cutaneous and 11 cases of Inhalational anthrax. The 5 people who died had contracted the 'Inhalational' disease. Nine of the cases were sent to targeted individuals at specific locations, 9 of the cases were contracted by postal service employees and 2 of the cases were contracted by handled cross-contaminated mail. Bacillus anthracis spores themselves do not have a characteristic appearance, smell or taste - but the powder it is converted does. The victims stricken with the lethal disease suffered influenza-like symptoms often accompanied by vomiting or shortness of breath. After a few days the devastating illness worsened, leading to severe breathing problems, skin lesions shock, meningitis and in many cases, death. Powdered Bacillus anthracis spores were placed in envelopes and the first anonymous letters were sent through the US Mail to news media companies in Florida and New York City on September 18, 2001. On October 4, 2001 Bob Stevens, of American Media Inc. in Florida, was hospitalized with inhalation anthrax, and died the next day, the first fatality in the attacks. On October 8, 2001 mail containing the spores was found in the Boca Raton, Florida offices of American Media, publisher of the National Enquirer, and the building was subsequently quarantined. The FBI began investigating the incidents, code-named “Amerithrax”. The genetic strain, as well as the method of creating the biological or chemical weapon, suggested the terrorist(s) had access to U.S. bioweapons research facilities. The news of the attacks were reported in the media and Time Magazine published an article headed "Bioterrorism: The Next Threat?". The American public, already in shock, were rocked by the news reports and completely unfounded rumors began to spread about poisoned water supplies. On October 8, 2001 a poison letter addressed to Tom Brokaw, NBC news anchor in New York City. Tom Brokaw was not harmed, but two NBC News employees were infected. Other cases began to appear at media outlets in New York City and dozens of buildings were contaminated as a result of the lethal mailings. Offices and delivery hubs were closed down until the buildings were freed of any spores. The crisis then reached Washington D.C. when Senate Tom Daschle (D-SD) was targeted and workers who had processed the letter became ill.
Another poison letter, addressed to Senator Patrick Leahy (D-VT), was found during the search of quarantined mail. The Capital was shut down amidst the scare and the US Environmental Protection Agency spent millions of dollars on the clean-up. The discovery of envelopes or packages containing a 'poison powder' created fear, panic and chaos disrupting daily activities and the economy. False alarms, caused by deliberate hoaxes, hindered the inquiry as dozens of suspicious packages were reported. Tests found that the mailings contained harmless powders. On October 23, 2001 two postal workers from the Brentwood postal facility in Washington, D.C., were confirmed to have died from the disease. The Brentwood postal facility remained closed for two years, until December 2003, after more than $130 million worth of renovation and cleanup. Kathy Nguyen, an employee of the Manhattan Eye, Ear and Throat Hospital died on October 31, 2001 and on November 21, 2001 Ottilie Lundgren of Connecticut, becomes the fifth person to die from inhalation anthrax. By the end of November 2001, the spate of attacks had run its course and no additional letters were discovered.. Following the 2001 terrorist attacks on the homeland the USA Patriot Act was passed on October 26, 2001 and the Department of Homeland Security became operational on January 24, 2003. After a prolonged investigation into the Anthrax Attacks, on August 6, 2008 the United States Department of Justice concluded that Bruce Edwards Ivins, an American microbiologist and biodefense researcher, was likely to have been solely responsible for the Anthrax attacks, although this was fiercely contested by many others. Bruce Edwards Ivins died before any charges were made on July 29, 2008, from an apparent suicide from an overdose of Tylenol with codeine.